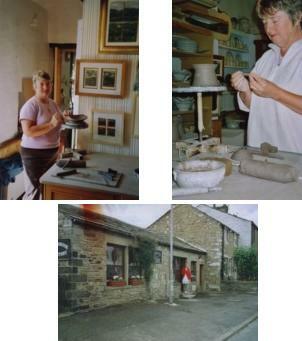 Kelbrook Pottery is in the pretty village of Kelbrook, just off the A56 near Colne in Pendle. We have been making ceramics here for over 30 years. The workshop is in a single storey stone building which was once the bakehouse for the adjacent cottages. We produce a wide range of stoneware ceramics - All handmade by us.